Computer generated image descriptions, wearable tech that charges your smartphone and what's new with Facebook, Twitter, Snapchat, Viber, Whatsapp and back to the Hoverboard! Personally, I'm most excited about the accessory / smartphone charger that is the XOO belt! 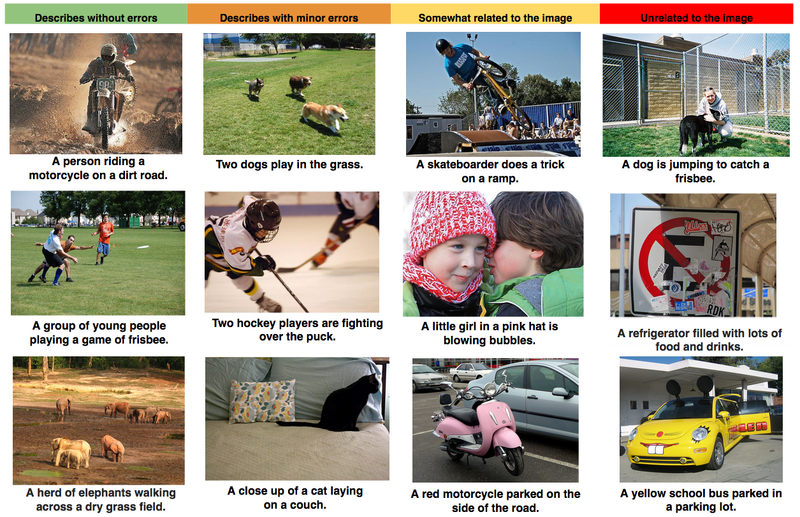 Google have developed a machine-learning system that can automatically create captions for photos. Currently, anytime an image is uploaded we have to manually add an alt tag that should be a brief description of what's in the image. The alt tag serves a number of purposes; SEO, helping visually impaired people 'see' what the photo is of and it's what loads when the image itself can't (because of slow internet speed or an image source error). But an automatically generated alt tag could change all of this. Sometimes, people forget to add an alt tag - so having it automatically generated will, if nothing else, hopefully describe the image with some degree of accuracy. But at present, as with all things AI, a bit of human intelligence is needed to proof and correct. Of course you can buy portable charging packs already, but you'll need to carry the pack around with you somehow and if you don't carry a handbag, murse, backpack or shoulder bag then what? The XOO belt is wearable tech that merges form (accessory) and function (smartphone charger) rather beautifully. Facebook would like you to use it at work. Not discreetly, not during your break -- but as the epicenter of your online work space. Rumour has it that Facebook is working on a Facebook for Work. Unsurprisingly, Facebook employees already spend their day on Facebook but it seems a few other companies are now testing a workplace version of Facebook as well. Snapchat and Square Cash have partnered up to create Snapcash -- a new feature for US snapchat users ages 18+ to send money via Snapchat. Debit card details are stored by Square, and once you've entered your card details you just go into a Snapchat, enter in the amount you want to send to a friend and hit the green button. Yes, it's that fast and simple. But is that a good thing? As Viber announces a new Public Chats feature that will let users read chats from launch partners, Whatsapp announces that Anroid users will have their messages automatically encrypted. Did I miss anything in the tech world this week? Please drop a comment and let me know.